At Bellotti Law Group, we know the stakes are high for any criminal charge. Most criminal charges expose you to incarceration, and even first-time offenders often receive harsh penalties when they do not maximize their opportunities. Those who avoid incarceration can still face consequences on the job if the situation is not properly handled. If you have been criminally charged or suspect you may be, contact our Boston criminal defense lawyers to put our experience to work for you. We offer a free and confidential legal consultation. Our services are cost-effective and we partner closely with clients to resolve criminal charges so you can move forward. Contact us today for a free legal consultation at 617-225-2100. You can also use our contact form. We will respond promptly. We have argued before many different judges in courts throughout Massachusetts. We have the experience to make critical decisions quickly to ensure that your rights are protected and you are exposed to minimal penalties. We perform our work knowing that you need strong support, clear communication and a swift resolution so you can move beyond your criminal case. Be prepared when you contact us so we can start work immediately. Have all your paperwork ready before you call, and be sure to write down any notes from your memory of the arrest. The most important papers we need to see are the complaint and the police incident report. If you have already been to your arraignment, you should have received these documents. If you have not received them, you should be able to obtain copies from the district court's Clerk-Magistrate's office. The best way to avoid a conviction is not to be criminally charged. It is in your best interest to contact a Boston criminal defense attorney if you have been questioned in a criminal investigation or believe you will be. It is your right to have an attorney present and you have no obligation to make a statement or answer police questions. A skilled attorney can protect your rights and often steer police away from filing criminal charges. Our Boston criminal defense lawyers understand that each case is different, each client is unique and every criminal charge carries fear and serious implications. We pride ourselves in partnering closely with clients and are accessible throughout your case. We advocate for you and clearly communicate your options at each step in the process. The Massachusetts criminal defense lawyers at Bellotti Law Group, P.C. have served Greater Boston and the South Shore for over 20 years. We have offices conveniently located in Boston, Cambridge and Quincy. 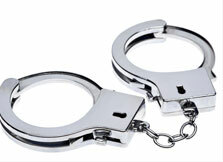 If you have been charged or are involved in a criminal investigation, time is of the essence. Certain court and RMV/DMV notices and warrants carry strict deadlines. Protect your rights and contact us today at 617-225-2100 or use our contact form.